Hi everyone, I’m Gyudy and I blog over at Gyudy’s Notes Of Beauty. For this guest post on the amazing blog written by Stacey - I send you a big hug! 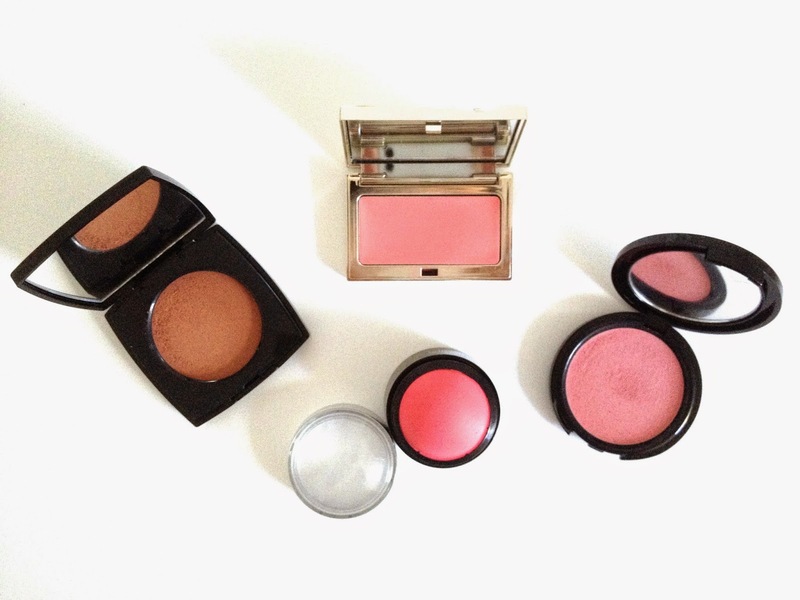 - I thought I would tell you a bit about my cream blushes collection and what I generally think of them. I have to admit I’m not a massive cream blush wearer. I like them when I use them, but on an everyday bases I still prefer powder blushes for their quick application and great lasting power. Maybe it’s because I’m so used to setting my makeup with powder - I don’t always need it but I often wear makeup for long days and I don’t want to be bothered with touch-ups - and powder under them or over the top often takes away the gorgeous sheen they give. The ones I’m going to show you today are all great though, and pretty much set without the need of powder on top, and generally take a little veil of it pretty well. Let’s see them! You can’t beat a bit of Chanel, and this blush is simply gorgeous. It’s great on its own for a natural sculpted look or used as a hybrid blush-contour with something more brightening on the cheeks. 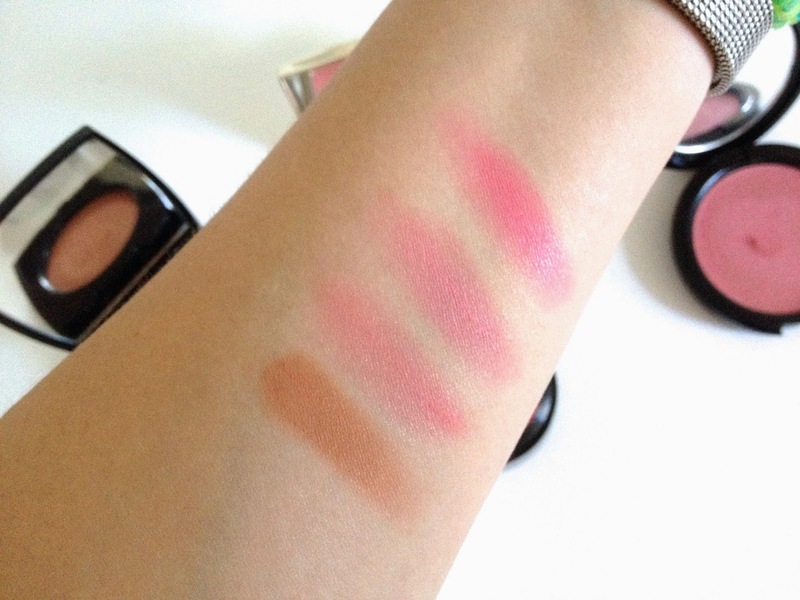 It blends like a dream and is insanely pigmented (the swatch you’re going to see is from the tiniest dab on the compact), and it’s a great staple in my collection. These has to be, unfortunately, my least favourite. It’s the less pigmented, which can be good for some but not so much for me. It’s also the one that likes a sheer veil of powder less. It’s still gorgeous though as it’s an amazing shade, and with a sheer foundation can make a great no make up-makeup brightening blush. I still use it, it’s just not my favourite! Let’s talk about this gorgeous number from MUFE now. It’s foolproof in application as it blends into the most gorgeous sheer veil of colour on the cheeks, still keeping its brightening power and really stays put throughout the day. It’s a lovely shade of pinky that’s at the same time bright and mauvey, and I really recommend you to have a look at this range as they’re great. Well, surprisingly for a high-end girl like me my favourite of the bunch has to be this recent Kiko release. It was part of the summer collection Sportproof Active Colours that should still be able to find in stores, and on sale too! It’s one of those gorgeous bright pink that look a little bit more red when compared to a true fuchsia, and the lasting power of this is just insane. It looks like freshly applied even after 18 hours of wear and it’s amazingly pigmented while being perfectly blendable. Hopefully you can see the lovely sheen it has from the picture, I just love it! Here it is, my little cream blushes collection. I know a lot of people like to apply them with fingers or a stippling brush, but my favourite tool has to be the Buffing Brush from Real Techniques, that shockingly I didn’t like so much for foundation. I concentrate the colour on the center of the bristles and it literally blends products without thinking about it. For a more sculpted look with the Chanel one I also like to use the Sculpting Brush also from Real techniques, as it’s just perfect for that. Hope you enjoyed this little overview! I can’t wait to come back to read your comments! Sending a lot of love to Stacey - hope you’re getting better as quickly as possible! - and a big thank you to Gemma for giving me the opportunity to help.